David Nicoski of Vermilion Technical Research makes his debut on the show - he deciphers the market dynamics from a technical perspective, in particular relative strength analysis. Starting last Wednesday, the market plunged sharply, fulfilling a bearish diamond pattern prophecy. The thousand point decline in the Dow Jones Industrials Average last week was followed by a 1,000 point intraday collapse on Monday. Our guest expects further negative price action amid a flurry of unexpectedly bearish news events. An ominous diamond pattern recently emerged in US equities - strikingly similar to the 1929 market zenith. One overlooked gem in the rough is the Nikkei index (DXJ). David Nicoski thinks that Japan's equities bourse is on the cusp of a 10 year bull cycle. His analysis on individual sectors can markedly improve portfolio results, as the typical difference between solid / weak sectors exceeds 45%. The guest notes the US stock indexes should not be compared beyond a few years, as stocks are added / dropped too frequently to make useful comparisons. He is waiting for a bottom pattern to unfold in the PMs sector, such as an inverse head and shoulders, double / triple bottom. Prominent economic analyst, Jeffrey Christian of CPM Group rejoins the show on the heels of a pilgrimage to South Africa. His team correctly forecasted the commodities sector weakness. The cyclical decline in the bull market in commodities should conclude by 2018. Our guest thinks the US Fed is behind the financial trends. A Fed rate hike of the benchmark lending rate is a non-sequitur. Given the recent currency / equities market turmoil, worldwide. Our guest is watching for signs that investors in China start booking substantial equities profits, redirecting capital into the precious metals market. The battered crude oil sector could be presenting entry opportunities; any price below $40 represents a fair price, according to their models. Gary Dorsch, publisher of Global Money Trends Newsletter, notes how officials around the globe continue to debase their money to bolster ailing economies. The race to the bottom may have dire consequences, worldwide. Not only are some company shares collapsing, but their bonds, too. Our guest notes that the economy is producing on average 200,000 jobs per month, home prices have recovered while corporate conditions have improved markedly, so it's inappropriate to hold rates near zero. Expect the Fed to follow the advice of the BIS and end the 6.5 year holding pattern with a rate hike next month. The ECB and BOJ will continue quantitative easing by a combined $1.5 trillion. Yields on low quality bonds continue to soar, pushing prices to record lows. Our guest expects gold to find a bottom around $1,000 per ounce. Proviso: if the Fed holds rates steady, the bottom may already be in place. Peter Schiff, Chairman of SchiffGold.com and the host discuss the expected Fed rate hikes, scheduled for as soon as next month. Our guest thinks the benchmark rate will remain set near zero, providing the rocket fuel to propel the precious metals into orbit. The domestic economic is in far worse shape than indicated by the official data so a rate hike could crush the economy. Fed officials will avoid rate hikes igniting a new wave of quantitative easing, QE4. Signs of underlying economic weakness abound, such as the lowest home ownership rate in 50 years. The guest / host concur that the Monetarist panacea involves holding rates steady and not raising them to ward off the looming financial crisis. Peter Schiff calms investors concerns regarding the bear market, noting that another 20 year downtrend is unlikely. 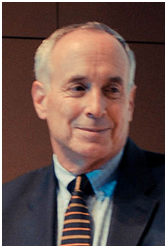 Chris welcomes back Dr. Laurence Kotlikoff, author of the Inform Act signed by 17 Nobel Laureates (click to sign). His latest NY Times Bestseller, Get What's Yours: The Secrets to Maxing Out Your Social Security, outlines must know tips on how the Social Security law has changed. Key secrets require action before April 30, 2016. If you or your spouse or friends / family turns 66 by then, this is a must read stocking stuffer. What will you or your parents do, if they live longer than expected? Although a long-life can be a blessing, the financial strain could be overwhelming. Dr. Kotlikoff outlines simple steps to increase monthly benefits by at least 6%, which can translate into tens of thousands of additional benefits per year. The professor suggests taking your documentation to the local office and presenting your proof as evidence. Spousal support is available in many disability cases, often overlooked due to the shock / trauma of the event, even after divorce. 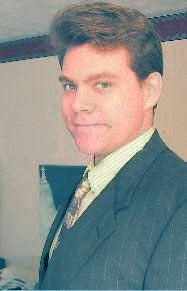 He created a bookmark worthy website titled, Maximize My Social Security.com, which includes the required software for maximizing benefits. We encourage everyone to review and bookmark his PBS Newshour column. One stock of interest is Alcoa (AA), which he lists among several buy/sell signals. The cycles indicate the greenback rally could fade in 2016, setting a floor for the commodities including crude oil and the yellow metal. The long-range outlook calls for increased volatility amid a potential global military conflict, which is overdue judging by 100 year cycles. His work indicates its time for investors to increase their gold and silver portfolio allocation by 50%, due to profligate central banking policies. Investors in Japan / Europe are advised to increase gold exposure amid negative yielding savings alternatives. The recent gold / silver coin shortages at the US, Canadian, Royal and Australian Mints indicate tight supply. He correctly predicted the rebound rally in US equities over the past two months, due in part to seasonal factors. Strong pension fund inflows in December / January could bode well for US stocks. His outlook on US shares is the most bearish in years - the forecast calls for no further new records in US shares. In addition, the recent ETF scandal made investors question their portfolio allocation - 40% of stock market volume stems from ETF trades. He shares several favorite portfolio candidates that offer growth at a reasonable price (low relative P/E ratios) with solid dividends including, Costco (COST), among several interesting opportunities.